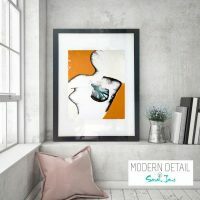 An Original Sarah Jane Painting for your wall called Linear IV. 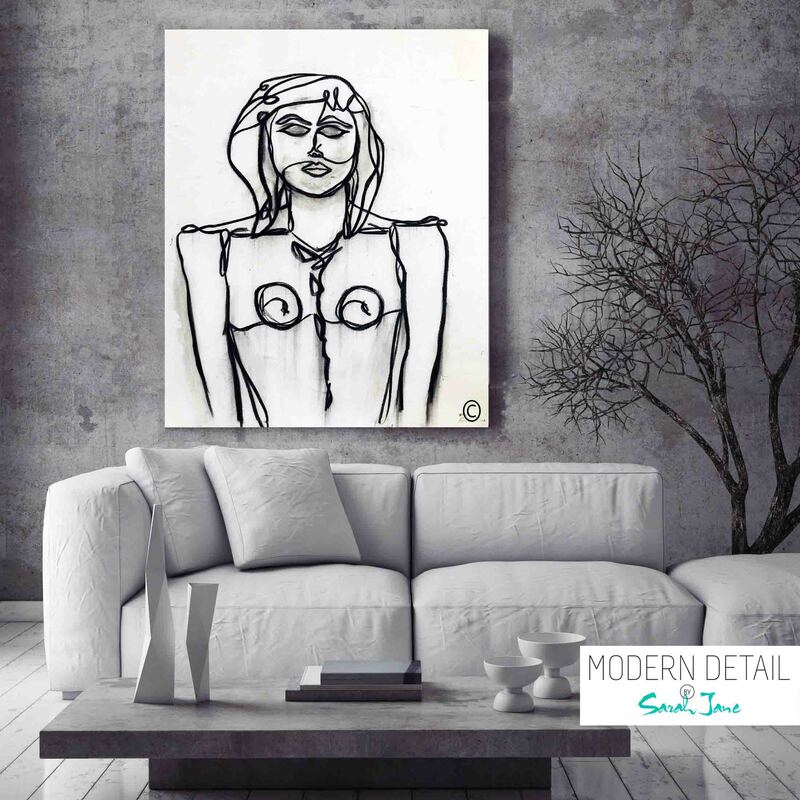 This is a very trendy painting with white paint in the background and the use of charcoal to outline the shape of a modern woman using continuous lines. This painting has a bit of a New York vibe and would look great in an apartment or warehouse. 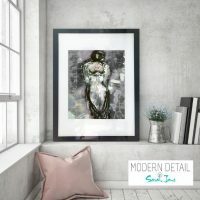 It is a very edgy painting that exudes luxury and style as it is clear you can not pull away from the stare of her eyes. 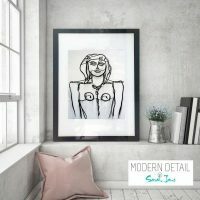 An amazing handpainted canvas in white acrylic paint and charcoal that is ready to hang on your wall. 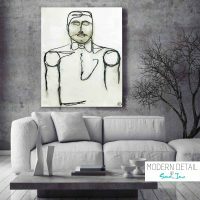 The painting has been lightly sealed to assist in the prevention of the charcoal smudging.